The Basics of Bearing Remanufacturing - Pump Engineering Co.Pump Engineering Co. Rotating equipment and bearings for pump applications require the use of rolling bearings, no question. As a result, it’s smart business practice to efficiently maintain rolling bearings so they don’t wear out prematurely from rust, solid metal contaminants, and metal-to-metal contact. In the event that a bearing fails, applying a controlled remanufacturing process for the bearing and reusing it is a low-cost compared to just replacing the damaged rolling bearing. Rolling bearings are candidates for remanufacturing (although it may be economically unwise for small sizes), and the nature and extent of restoration will depend on a particular bearing’s condition and application requirements. In general, during remanufacturing, relevant functional surfaces of the bearing will be repaired, including the replacement of bearing components when necessary. As a best practice, expert bearing analysts should be consulted. They will be sufficiently equipped to evaluate the bearing and identify which remanufacturing approach will be the most efficient in restoring the bearing. Standard industry procedures and established criteria then will guide recommendations and restoration work. Some bearings may need more work than others. As a result, categories of rework leading to remanufacturing have been devised. Inspection. 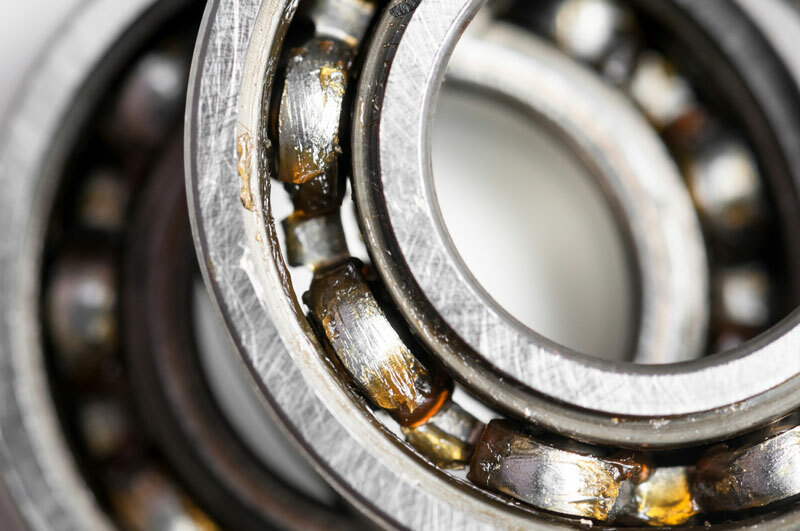 This is the first step—whether for a used bearing or for bearings stored over a long period—and involves comparing them with drawing and/or specification requirements. This process typically includes cleaning, degreasing and disassembling the bearing; nondestructive testing; visual or microscopic inspection and dimensional inspection; followed by a detailed bearing analysis report offering recommendations for appropriate treatment and suitable rework attention. Reclassification. This procedure encompasses all the operations of inspection in addition to minor repair (buffing and minor polishing of inactive and active surfaces and grinding of scratches and grooves), demagnetization, reassembly, dynamic testing, lubrication and preservation, and packaging for return to service. Refurbishment. This category of service builds on inspection and the selected reclassification activities and will include one or more of the following: replacing rolling elements, remanufacturing the bearing’s cage for the rolling elements or replacing it with an identical cage, interchanging used components (such as seals, snap rings and others), grinding or polishing and/or plating of mounting surfaces to return to original drawing dimensions of the bearing outside surface and bore, and polishing raceways. During refurbishment, appreciable material removal takes place, which removes superficial damage and modifies the stressed material volume. The surface is finished to its original blueprint specification. Then, the bearing is refitted with new rolling elements with a diameter equal to the diameter of the elements previously contained in the bearing, plus twice the depth of material removal. Cages are inspected for cracks and replated or replaced with a new one. Usually, new rolling elements are placed in the cage, and the bearing is then reassembled. Remanufacturing. This set of activities will include the previous operations of inspection, reclassification and, where appropriate, refurbishment. It will also extend to one or more of the following activities: grinding, installing a new ring, and changing or substituting components to create a different assembly identity (in effect, modifying in order to improve performance or properties). During remanufacturing, deeper grinding of inner and outer ring raceways of larger bearings is acceptable. Moreover, further machining methods, such as hard turning, can be applied. Superficial damage is removed, and the stressed material volume is modified. The surface is finished to its original blueprint specification. In some cases, new rolling elements exceeding the original rolling element diameter may be engineered. This size increase of the rolling elements may require reworking of the cage pockets or cage replacement. After work is completed, final inspection and measurements, cleaning and preservation, service reporting and archiving of documentation should be performed. This entry was posted in Industrial Pump News, Pump Engineering Co. and tagged pump and systems. Bookmark the permalink.